A Small Pin and Peanut Follower with a .395″ diameter can be used for removal most small pin tumblers. 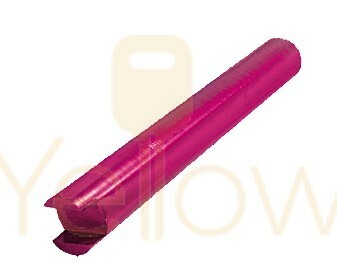 Uses include: Corbin small pin, Eagle small pin, Yale small pin and Ilco ‘peanut’ cylinders and others. Made from machined aluminum to exacting tolerances with a Violet anodized finish.